We offer affordable carpet & upholstery cleaning services in Ashford, TN24 and the local area. If you are searching for Ashford carpet cleaners, search no further. We can deep clean your carpets with our cutting-edge cleaning equipment, that cleans with five times the strength of common carpet & upholstery cleaning equipment, removing dirt, dust and harmful allergens from badly soiled carpets. AAAClean’s highly experienced team of carpet and upholstery cleaning technicians, will sanitise, deep clean and deodorise your carpet. We clean with the best quality child and animal friendly cleaning detergents with non-toxic natural ingredients. Not only will your carpets be hygienically clean but they will also look great and smell fresh too. Every AAAClean carpet cleaning technician is certified by Prochem and is fully insured to clean carpet, curtains and soft upholstery in your home or workplace. 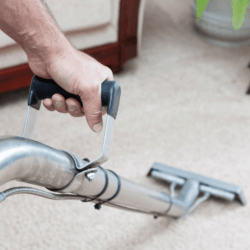 Our carpet cleaning operatives have years of experience cleaning all kinds of carpets, whether man made or natural, we can restore them to their former condition. We use high powered, hot water extraction cleaning machines to clean your carpets. This is by far the most safe and effective carpet cleaning available today. Our machines are commercial grade and can be used for both domestic and commercial carpet cleaning, completely configurable to suit the pile and make-up of your fitted carpet. We offer a no obligation carpet and upholstery cleaning quote to all prospective customers in Ashford, TN24. To discuss your carpet cleaning requirements or just to have a friendly chat, call us today or book online now to see when we’re available to visit your home. At AAAClean we pride ourselves on going the extra mile for our customers. We believe in offering a very high quality Ashford carpet cleaning service where everything from the operations of our machines to the results of our carpet cleaning are second to none. We have a lot of customers all over Ashford, Kent and East Sussex of customers who will vouch for our carpet cleaning services and back this statement up! All Ashford carpet cleaning technicians are fully certified and attend regular training courses to ensure they are always educated to the highest level on the forever changing carpet and upholstery industry. There isn’t any kind of carpet cleaning situation that our experienced technicians don’t know got to deal with. Every technician is equipped with a powerful hot water extraction (steam cleaning) machine that can be hooked up directly to your tap for a quick and efficient service. The solution pumps on our machines can go up to 800 PSI so we can completely adjust the water pressure dependent on the soiling and make of your carpet. The carpet cleaning process we use is completely eco-friendly and much kinder to the environment over other cleaning methods such as shampooing, foam cleaning or bonnet cleaning. We only use a very small amount of water and detergent and everything we use is completely biodegradable. We can remove every stain imaginable from your carpet including hot drinks, fizzy drinks, food, alcohol such as wine or port, grease, tar, Blu tack, paint and chewing gum. For stains that have been in your carpet for a number of years they maybe harder to remove. All of our vans come equipped with stain removal solutions, deodorisers, sanitisers, insecticidal treatments, stain protection and various cleaning detergents to tackle all of the above stains in your carpet. The quicker we can treat a stain the better so if you have an emergency spillage or stain removal situation please get in contact with AAAClean right away. We cover the whole of Ashford, Kent and East Sussex. Our Ashford carpet cleaners work Monday-Sunday from 9AM-6PM. We can even work overnight and on public holidays for larger commercial carpet cleaning jobs. Just let us know before you book if this is what you require and we can try an arrange something for a day/night that suits both of us. You can call us on 0800 023 5205. Our customer care team are available every day of the week, so if you have any questions they will be happy to help. If you’re ready to book a local Ashford carpet cleaner you can use our easy appointment system to book instantly online. We provide domestic and commercial carpet cleaning in: Aldington, Appledore, Barrowhill, Bethersden, Biddenden, Bilsington, Bilting, Bockhanger, Bonnington, Boughton Aluph, Boughton Corner, Boughton Lees, Brabourne, Brabourne Lees, Brattle, Bromley Green, Brook, Challock, Charing, Cheeseman’s Green, Chilham, Chilmington Green, Crundale, Eastwell, Ebony, Egerton, Finberry, Godinton, Godmersham, Great Chart, Hamstreet, Hastingleigh, High Halden, Hinxhill, Hothfield, Kenardington, Kennington, Kingsnorth, Leigh Green, Little Chart, Mersham, Molash, Newenden, Newtown, Olantigh, Orlestone, Park Farm, Pluckley, Pluckley Thorne, Reading Street, Rolvenden, Rolvenden Layne, Ruckinge, St Michaels, Sevington, Shadoxhurst, Shirkoak, Singleton, Small Hythe, Smarden, Smeeth, Stanhope, Stonebridge Green, Stone in Oxney, Stubbs Cross, Snave, Tenterden, Warehorne, West Brabourne, Westwell, Westwell Leacon, Willesborough, Wittersham, Woodchurch and Wye.